ACEO. Precious Times is one card of a three card set. This card shows Olarali getting ready to go out. 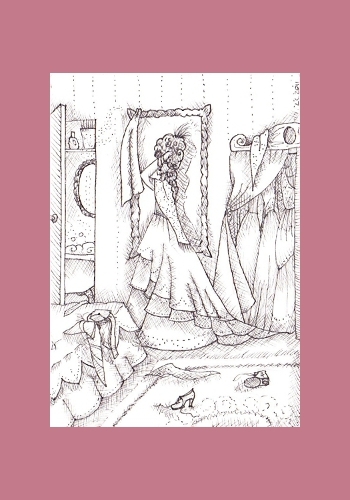 her wardrobe shows beautiful dresses and the open bathroom door shows the luxury she lives in. Details of her room are seen here, like the bed and the rug, as usual covered in things she collects. Especially shoes!